Along with teeth whitening and other procedures, cavities are a hot topic in dentistry. At The Parkway Dentist in Fort Worth, we think it’s great that people are so conscious of their teeth. Having a better understanding of exactly what a cavity is can help you take better care of your pearly whites. Cavities mean tooth decay, plain and simple. 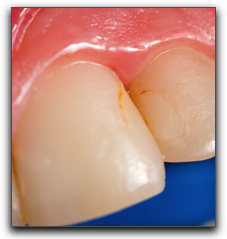 When a tooth is damaged in the hard surface, tiny openings occur. These little holes are cavities. They occur when certain types of bacteria produce acid that destroys the tooth’s enamel and its underlying layer of dentin. Cavities may get so bad that you will see pits or holes in your teeth, but symptoms may be more subtle, such as sensitivity, pain when biting, or a toothache. If you experience any of these symptoms, give us a call and schedule an appointment. At The Parkway Dentist in Fort Worth, we provide general and family dentistry. We can also answer any questions you have about cosmetic dentistry procedures such as porcelain veneers and dental implants.